A clogged toilet can cause a headache for a homeowner. And, a plumber is one of the more expensive repairman. 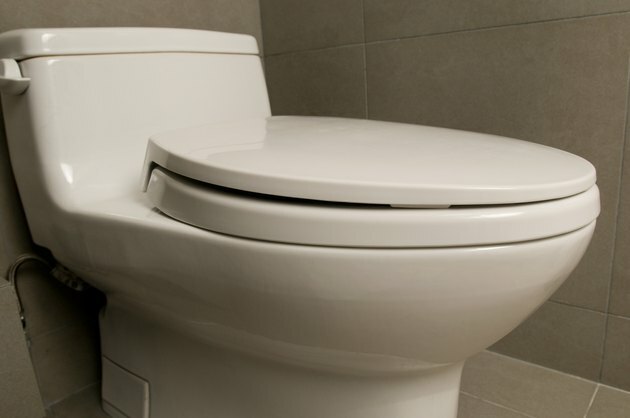 Aside from these concerns, you may not like using toxic chemicals to unplug your toilet. Salt can be used by itself, or in combination with other items, to treat a clog and spare you a costly plumbing bill. And some plumbers even recommend its use to customers. Salt is a natural way to unclog a toilet. Table salt is safe and effective in reducing clogs in a toilet. It may be used in combination with other items to unlpug a stubborn drain. Mix 1/2 cup table salt with 1/2 cup baking soda and pour into the toilet. Add six cups of boiling water, pouring slowly. Be careful not to splash yourself. Allow to sit overnight, for approximately eight hours. Use a plunger to loosen the clog and pour some additional boiling water into the drain. The hot water will loosen the clog while the abrasive combination of salt and soda will work on breaking it up before flushing. Some plumbers swear by the use of rock salt as a toilet clog eliminator and will recommend its use to their customers to maintain the drain following their services. Stir one cup of rock salt into a two-gallon bucket of very hot water until dissolved. Dump the mixture into the toilet bowl. Allow to stand for eight hours before flushing. Use this combination for regular monthly maintenance. Rock salt is a green alternative to combating tree roots that have infiltrated pipes under the home. The rock salt kills tree roots by choking and drying them. If roots have not been allowed to totally get out of control and block pipes, this remedy will be effective. The rock salt will also act as a deterrent to future toilet drain problems by continuing to act as a root and weed killer. Treat your drain twice a year for this problem. Maintain an open drain by keeping up with preventative maintenance. Treat the toilet weekly with a combination of one cup table salt, one cup baking soda and 1/4 cup cream of tartar. Pour the mixture into the toilet bowl and add one cup of boiling water. Wait for 10 to 15 seconds before pouring one cup of cold water into the drain. In addition to the salt combination, flush hot water down the toilet weekly to help prevent more clogs and to keep the drains odor-free.